For a person looking to buy a small car in India, the decision-making process can get really tough. Taking up all the crucial parameters, the car valuation process is estimated. Used car valuation takes less time now due to the improvement in the valuation process. Old car valuation gives you the exact picture as to what should be expected out of the sale or purchase. The amount of money that is to be spent at any later point of time on the car can be determined through the valuation of the used car. The following are the used second hand cars that are available on the roads of Bangalore and are used by the people. Ford India launched the new Figo last year. It looks great and it is fun to drive. Powering the Figo is either a 1.2-litre petrol, a 1.5-litre Petrol or a 1.5-litre Diesel mated with a 5-speed manual, 6-speed DCT and a 5-speed manual respectively. 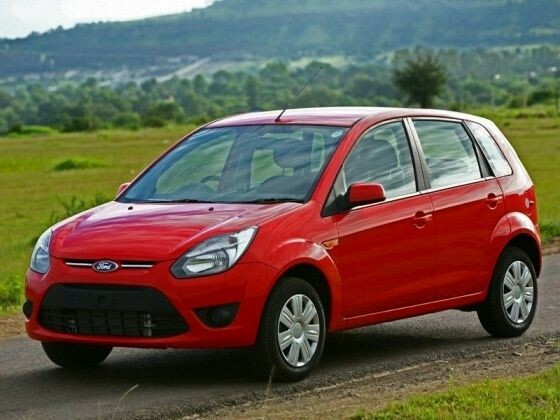 Second hand Ford Figo can be a good choice for the second hand car valuation and getting one too. The car costs around 3 lakhs when valuation of the car is done for used car sale or purchase. The Tiago looks good from almost all angles and does not have any complaints after the car valuation. The dashboard is well laid out with good quality and finish. It draws power from an all new set of highly fuel-efficient petrol 1.2 L Revotron (84 bhp-114 Nm) and diesel 1.05 L Revotron (69 bhp-140 Nm) engines. Tata Tiago can be priced less than 3 lakhs when the valuation of the car is done on the second hand basis. The Hyundai Grand i10 comes with a choice of either a 1.2-litre petrol or a 1.1-litre diesel. The former produces 87 bhp and 109 Nm, while the latter churns out 70 bhp and 160 Nm. Both engines come with a 5-speed manual transmission option but the petrol version gets a 5-speed automatic variant. It is a comfortable, spacious and owns the best cabin in its segment. This car has good values when car valuation is done online. Hyundai Grand i10 costs less than 3 lakhs when valued as a used car. Hyundai EON is a low-end hatch, slightly powerful than the Maruti Alto 800. It has an 814cc engine that generates 56bhp at 5500rpm returning a mileage of 21.1kmpl. The car comes with some standard features like electric power steering, keyless entry, engine immobilizer and central locking. Second hand Hyundai EON can cost upto 3 Lakhs depending upon the condition of the second hand used car.